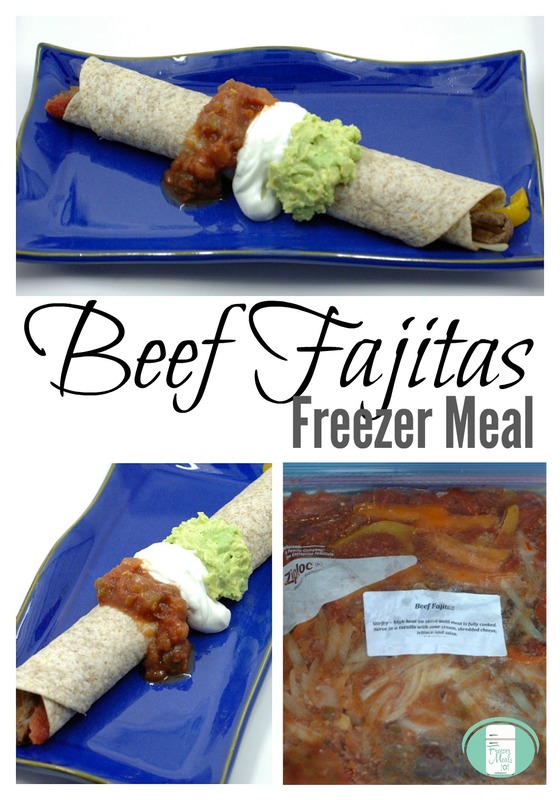 These make ahead beef fajitas are an easy freezer meal to put together. 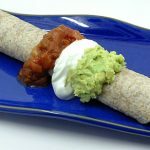 You can serve the fajitas with guacamole, salsa, shredded cheese, and sour cream. I buy the beef already sliced into stir fry strips to save time, but you can also buy any tender beef (such as sirloin, top loin, tenderloin, or rib eye) and slice it yourself to save money. The assembly of this recipe is so fast once you have the peppers and onions sliced that it makes the most sense to make two or four meals at a time. Just open the bags on the counter and dump the ingredients in. To assemble this freezer meal, add the raw beef stir fry strips, sliced onion, sliced red and yellow peppers, salsa, lime juice, and Worcestershire sauce to a large resealable freezer bag. Remove the excess air, seal and freeze. On the day of cooking, take the bag out of the freezer and thaw. Stir fry in skillet over high heat on stovetop until meat is cooked through. This really doesn’t take long at all especially if the beef strips are thin. Serve in flour tortillas. If you want, you can top the fajitas with sour cream, salsa, shredded cheese, cilantro, or guacamole. If you like things spicy, you can add jalepenos or hot sauce either at the time of cooking or when serving. Add the raw beef stir fry strips, sliced onion, sliced red and yellow peppers, salsa, lime juice, and Worcestershire sauce to a large resealable freezer bag. On the day of cooking, take the bag out of the freezer and thaw. Stir fry in skillet over high heat on stovetop until meat is cooked through. This really doesn't take long at all especially if the beef strips are thin. Top the fajitas with sour cream, salsa, shredded cheese, cilantro, or guacamole. 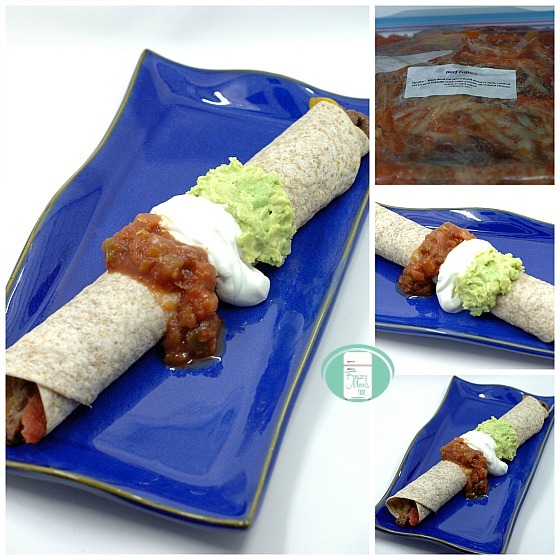 This make ahead beef fajitas recipe is included in the Dinner in 20 Freezer Meal Plan along with other recipes, shopping lists, prep lists, and printable labels.